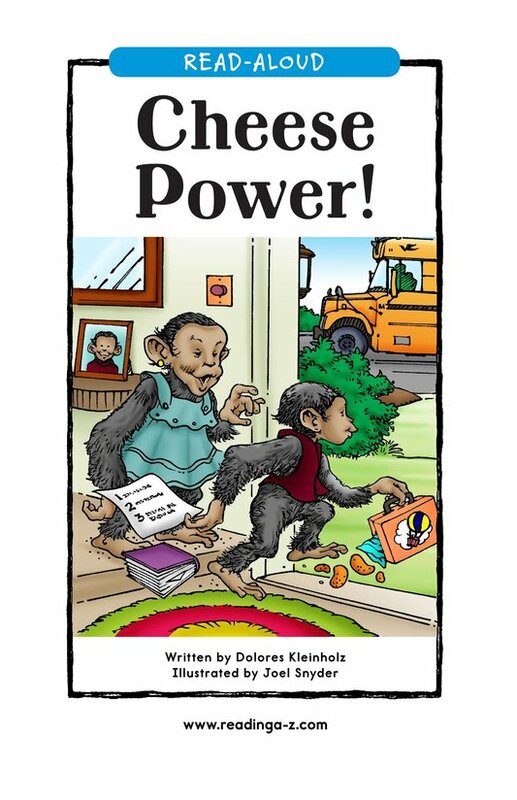 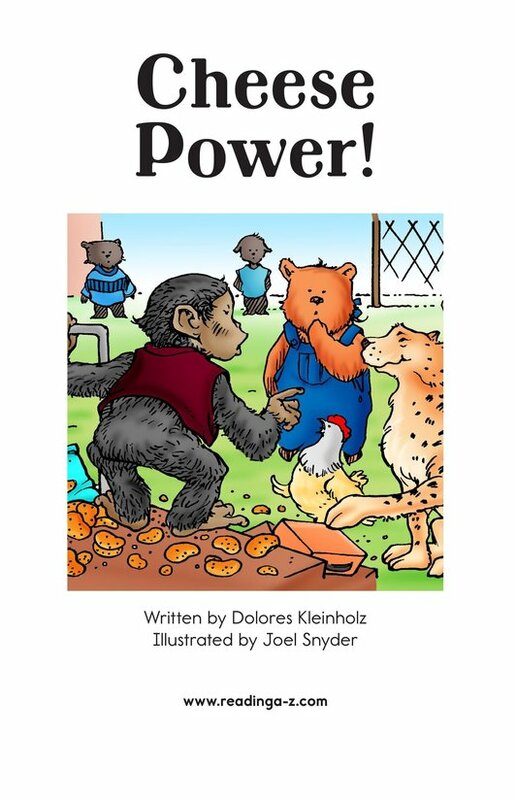 > Books > Phonics > Cheese Power! 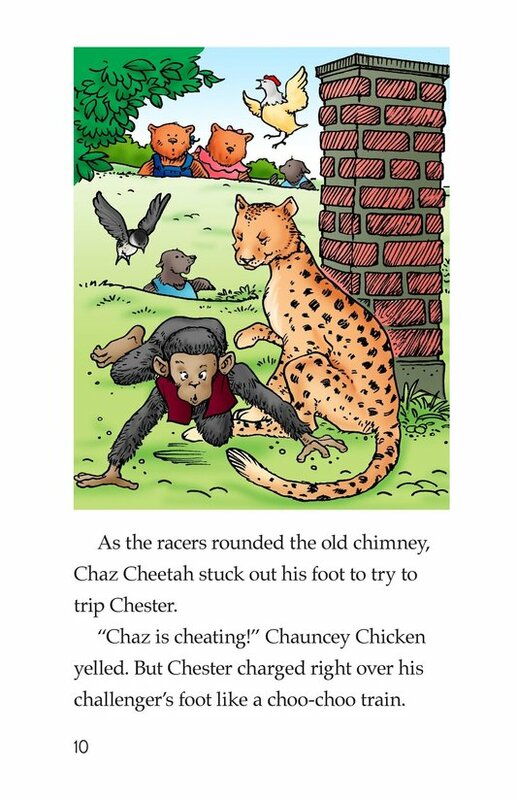 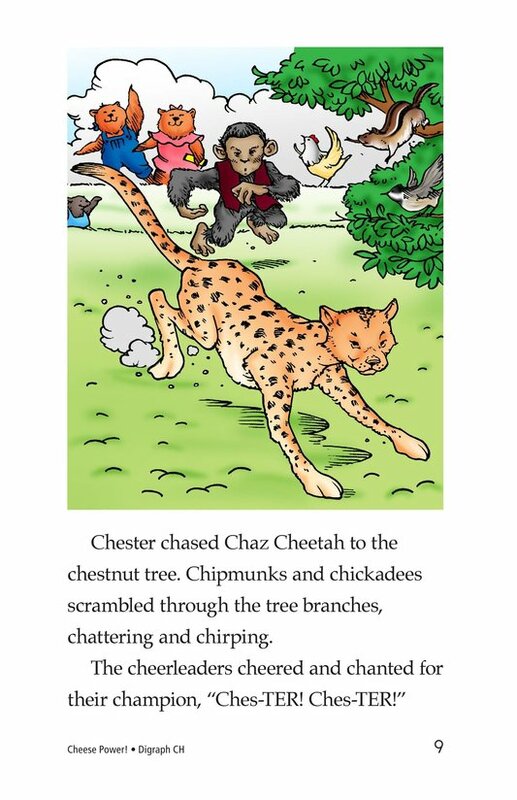 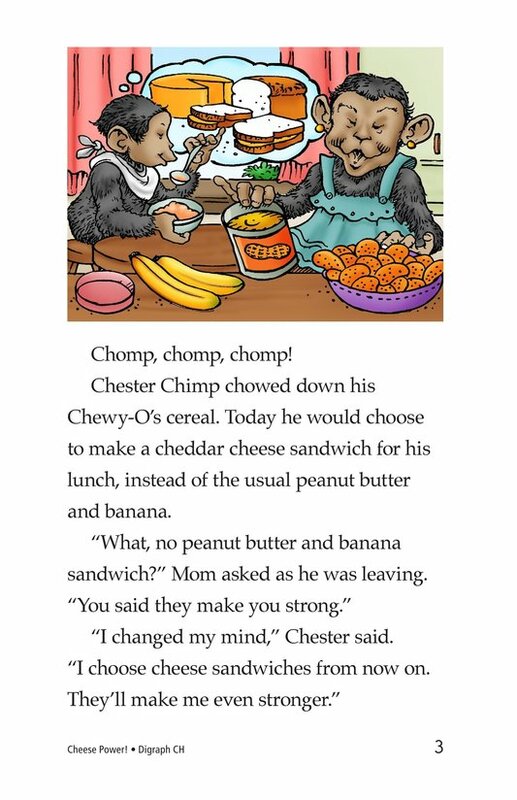 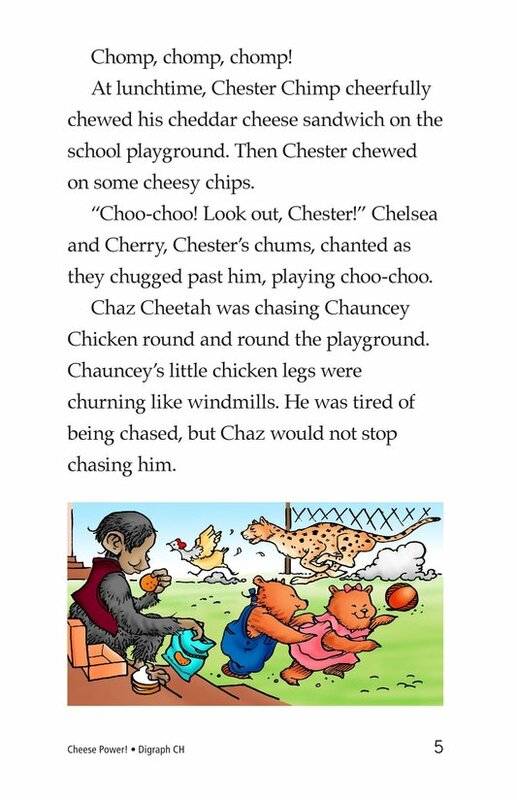 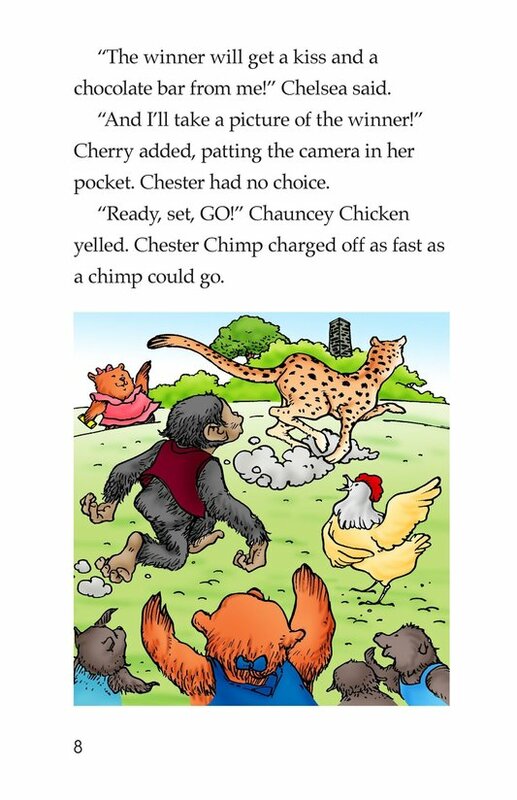 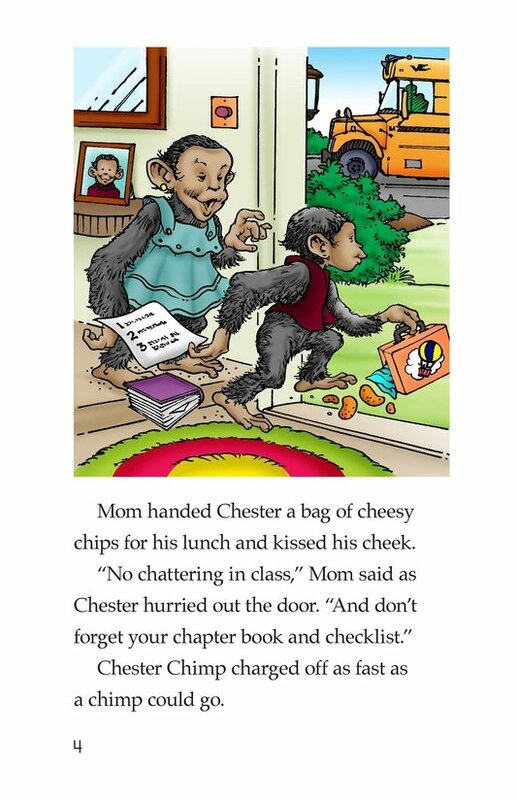 Chester Chimp sees Chaz Cheetah chasing his friend. 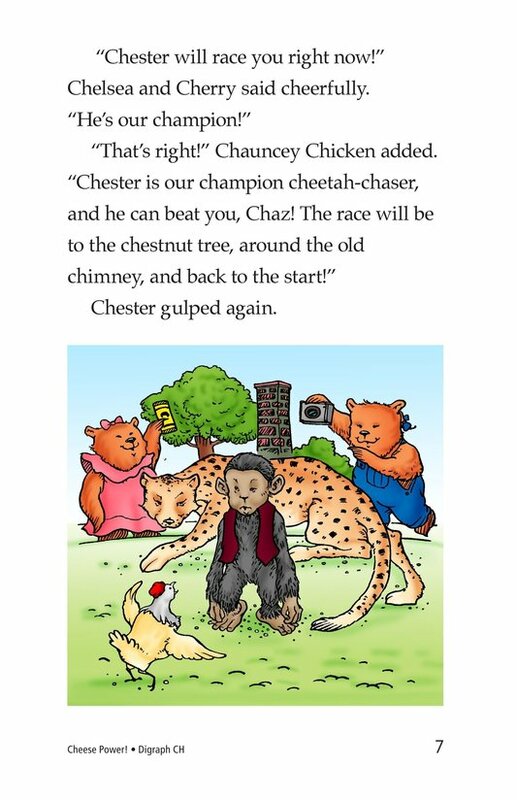 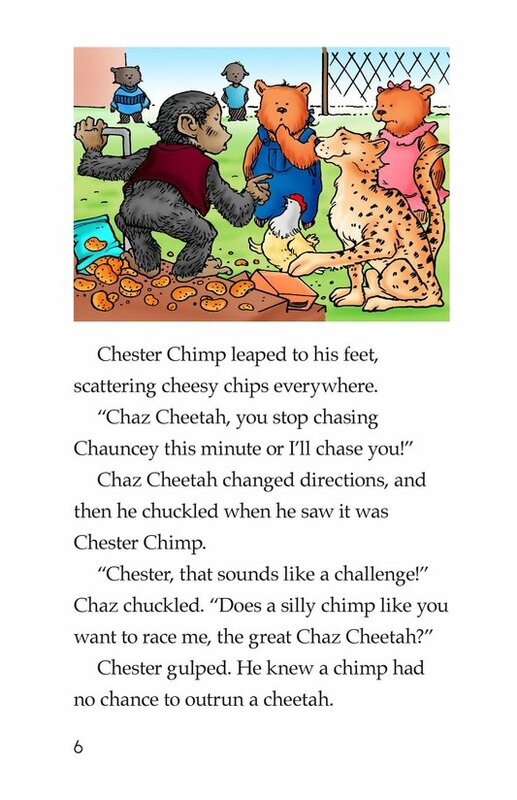 Chester tells Chaz to stop chasing others and challenges him to a race, even though Chaz is faster. 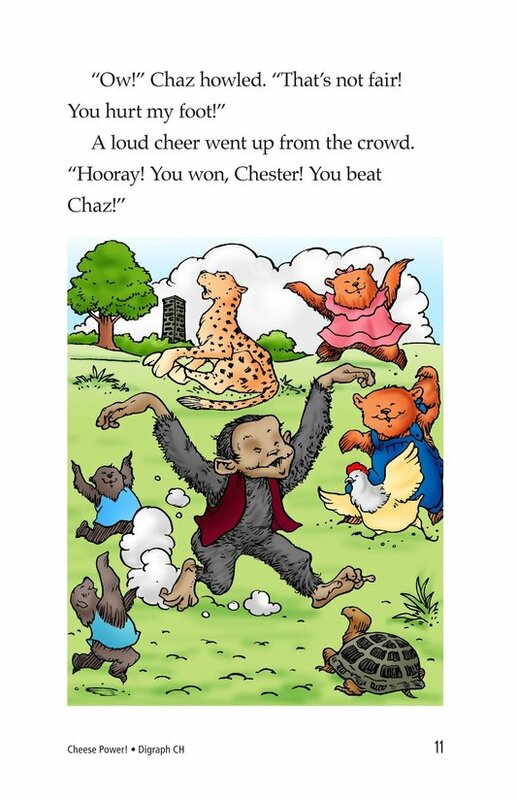 When Chaz tries to cheat, he ends up with a hurt foot and Chester wins the race. 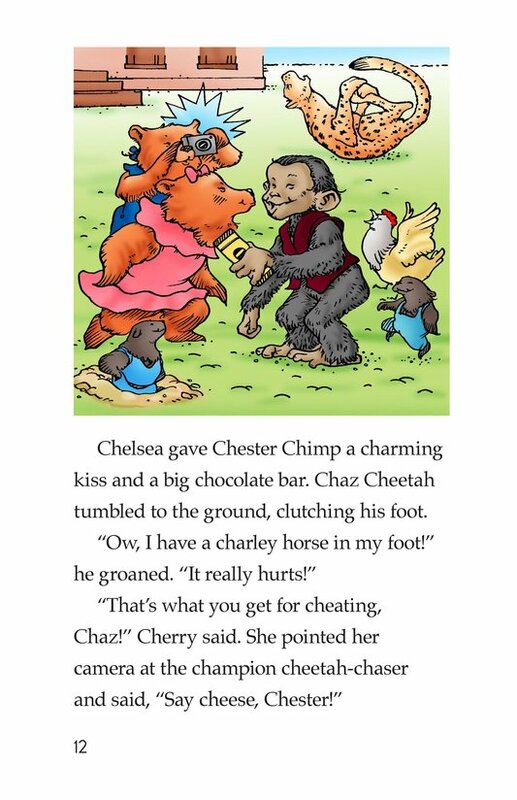 Chaz learns that cheating doesn't make you a winner. 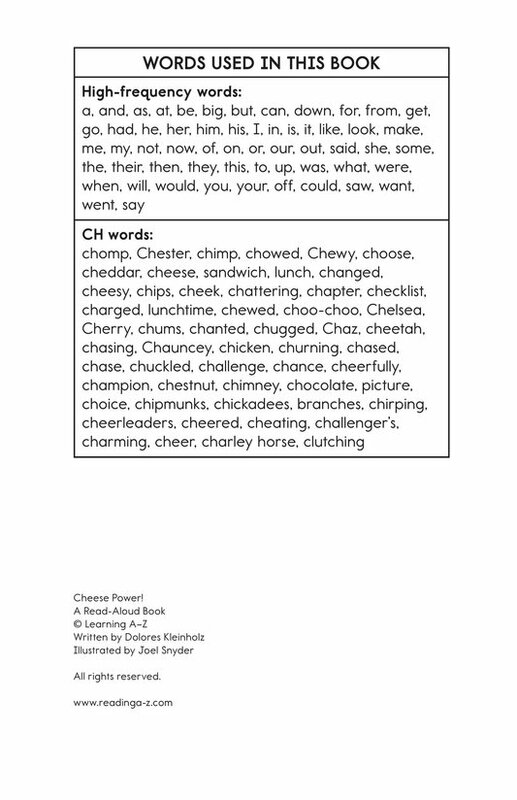 Introduce and expose students to the /ch/ sound represented by the letters c and h together.